You can create a comfy square chair for your American Girl® Doll with this PDF pattern from Doll Tag Clothing! Create various looks by selecting different types of fabrics. This chair can be made with or with out the back/arm rest for a more simple style. 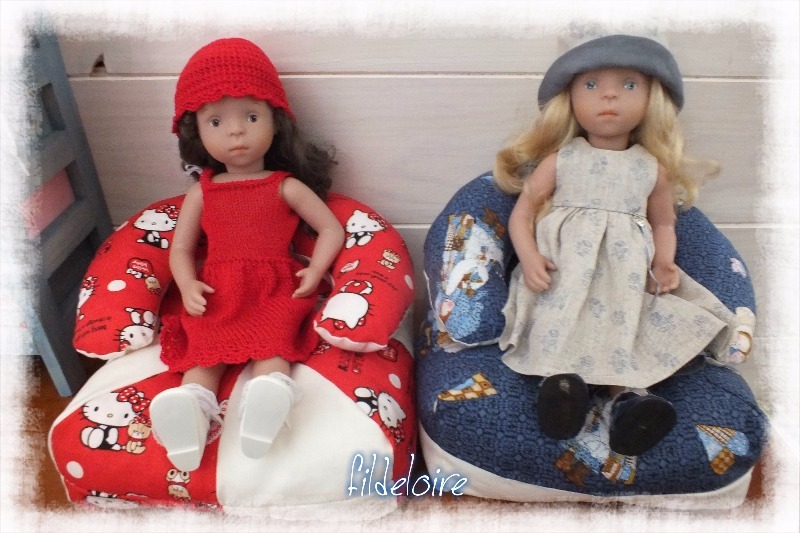 Your 18 inch doll will be ready to chill and lounge around with friends with chairs made from this new doll furniture pattern. What You Get: One 10 page sewing pattern that you digitally download as a PDF file so you can start your project immediately! The PDF sewing pattern provides full color step-by-step illustrated instructions and full size pattern pieces. A PDF reader is required to view and print the files (example: Adobe Reader or Preview for MAC). The download link is received immediately after the transaction is complete. Print copies are NOT available. This chair turned out so cute I ended making two of them before Christmas. I was surprised how quickly they went together. The throw pillow was cute but more difficult due to the size. I would really recommend this pattern! 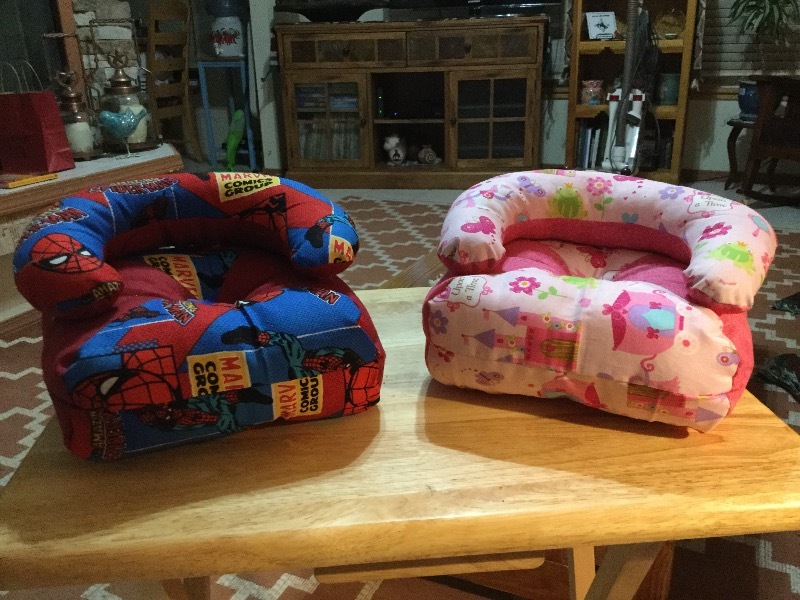 Hoping the girls like the chairs for Christmas. 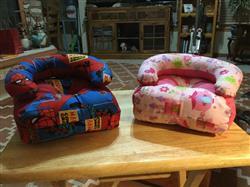 I made 2 of these chairs already for my grandchildren and they were really easy to make and they are adorable!